Touchscreen technology is used everywhere, and the benefits are clear. The technology allows for a much simpler interface, one that is so intuitive it makes searching for the user manual a thing of the past. 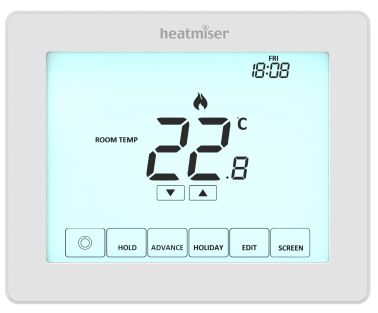 The Touchscreen thermostats provide a full time and temperature profile for every room/area of your house and take the guess work out of programming as they self learn heat-up and cool-down times. This provides a near perfect temperature profile for every room and maximises system efficiency. 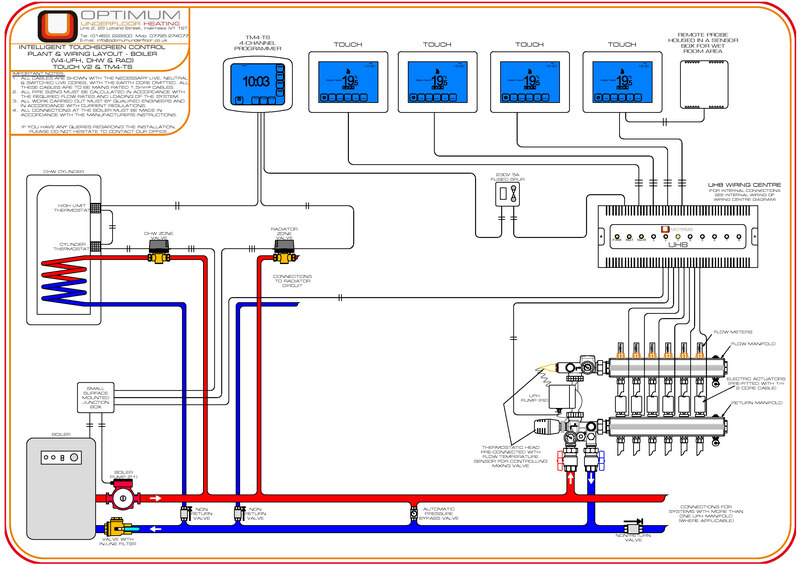 Optimum has the expertise to design, specify and support this level of control and all for a price that is quite often the same or cheaper than more basic control systems. 5/2 Day Mode is ideal for those who keep to one schedule Monday - Friday and another for the weekend. 7 Day mode allows you to have a different schedule for each day of the week, ideal for families with changing schedules. A function designed to protect your home against frost. An adjustable frost temperature level can be programmed, between 7C -17C, ensuring your home is always protected against the elements whilst you are away. Locking the thermostat keypad is an easy way to save energy. Allowing access to only those that require it. The Touch V2 is compatible with wireless air sensor and window switch, offering a more flexible energy efficient control solution. 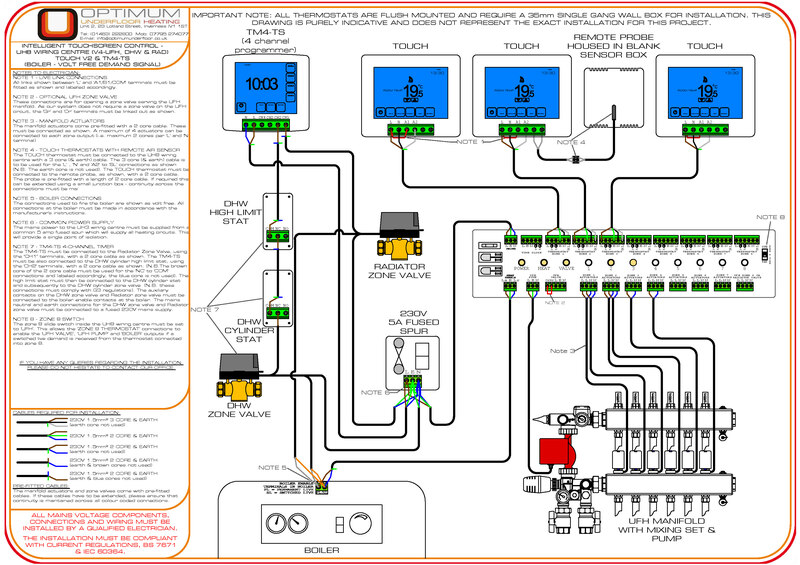 It is also offers Modbus connectivity, allowing the Touch v2 to be used in a BMS.